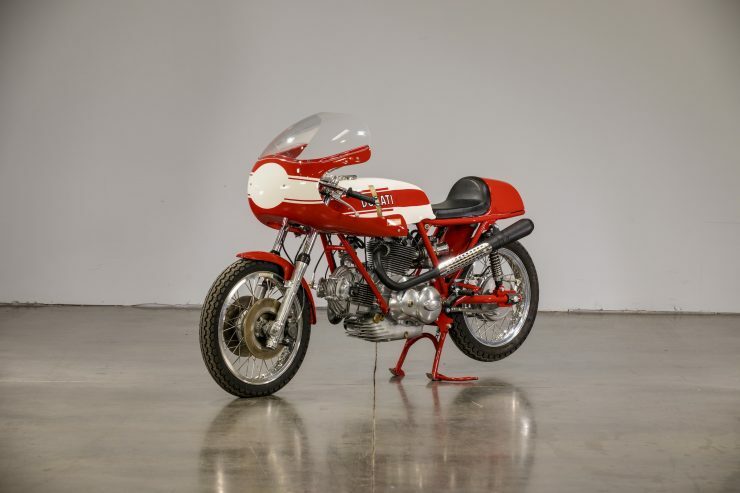 The 750 Sport is slightly more powerful than the GT and it could be ordered with a half fairing and twin front disc brakes if required – making it a popular choice for privateer racers in Europe in the early 1970s. 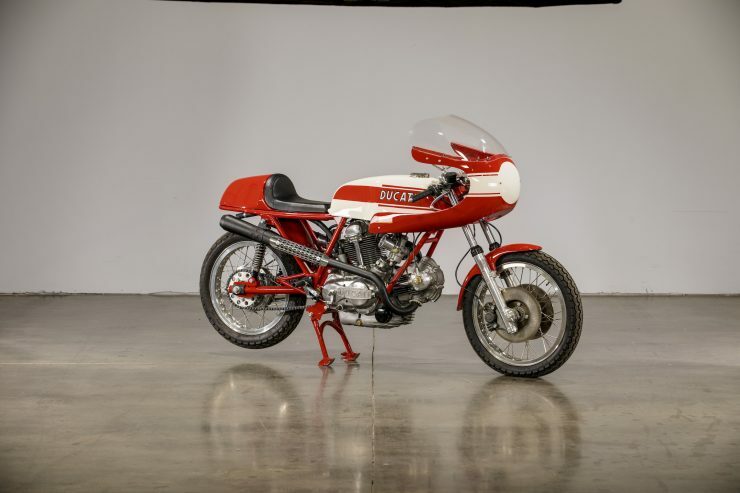 The Ducati 750 Sport first appeared in 1972, it was the fastest and most powerful road-legal motorcycle ever built by Ducati up until that point, and it was designed to compete squarely with both the Japanese and the British. 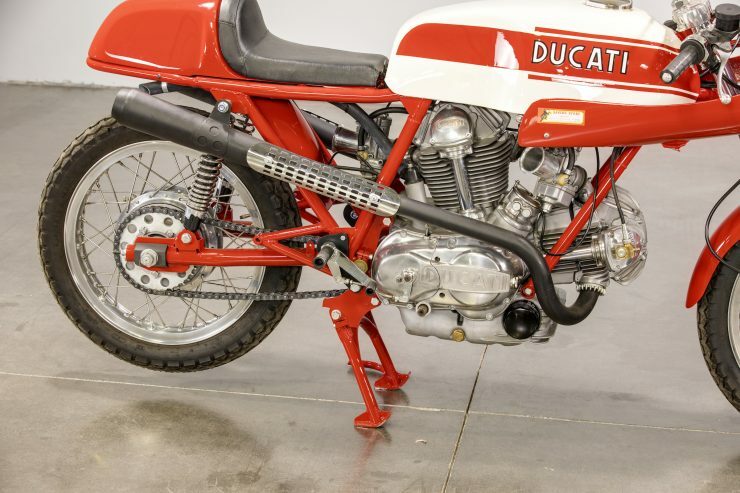 Ducati was still relatively new to the superbike game in 1972, they had only produced their first L-twin a year earlier in 1971. 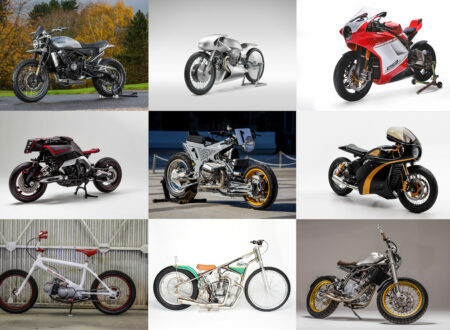 Prior to this the company had made a name for themselves selling beautifully designed, smaller-capacity motorcycles. The engine design followed somewhat in the footsteps of the V-twin used in the Vincent Black Shadow, in that Italian engineer Fabio Taglioni had taken two single cylinder barrels and heads and modified them to fit onto a newly designed crankcase – in much the same way that Phil Irving had done all those years earlier. 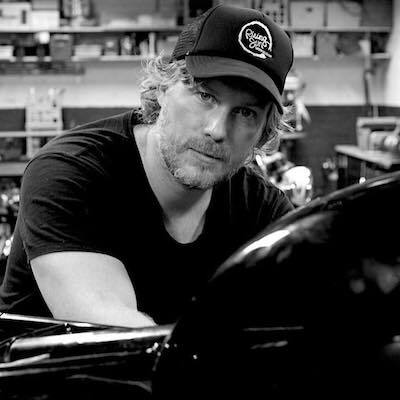 The genius of this design strategy is that you take proven, pre-existing heads and valve trains, as well as barrels, pistons, and connecting rods. This simplifies the process of designing a new engine considerably, and means you can use a pre-existing parts supply. Of course the actual design was modified somewhat, particularly the heat sink fins on the barrels of the front-facing cylinder, which were changed to make better use of the airflow coming from above the heads in the cylinder’s new orientation. Our Italian friends can tend to get a little hand-wavy if you refer to a Ducati twin as a “V-twin”, the 90 degree angle between the cylinders makes the shape of an “L”, so they call them “L-twins”. 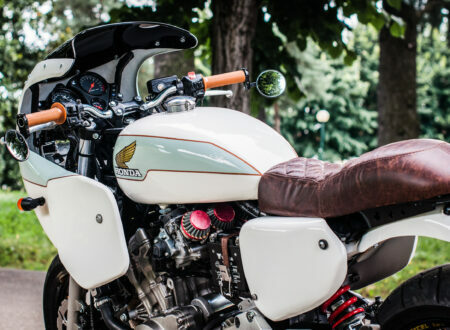 I suspect this may have something to do with wanting to differentiate themselves from the famous V-twins of a certain American motorcycle company that rhymes with Darley-Havidson, but the Italians will never admit it. 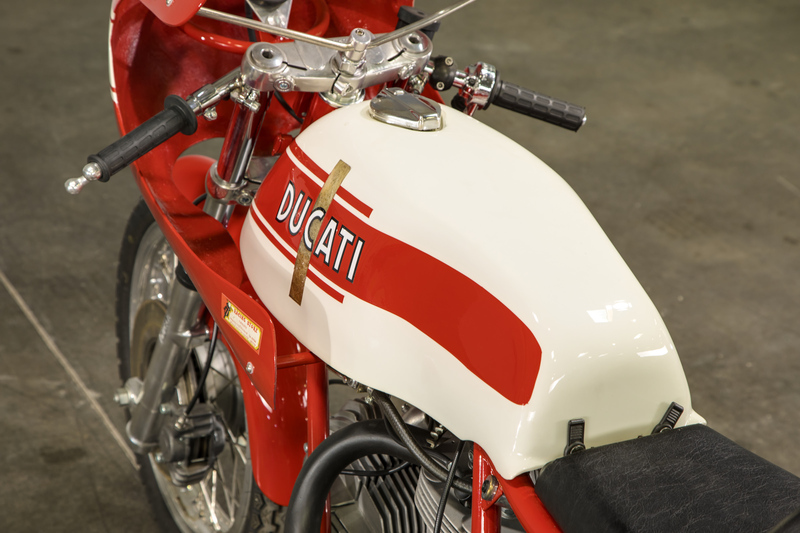 Despite its relative newness, the 748cc Ducati twin was an almost immediate success. Racing icon Paul Smart rode his Ducati 750 Imola Desmo to a hugely popular win at the 1972 Imola 200 with Bruno Spaggiari in second place on a matching Ducati. It’s difficult to describe how important this win was at the time, it helped to launch Ducati from a well-known maker of smaller-engined motorcycles to endurance race winning superbike manufacturers. 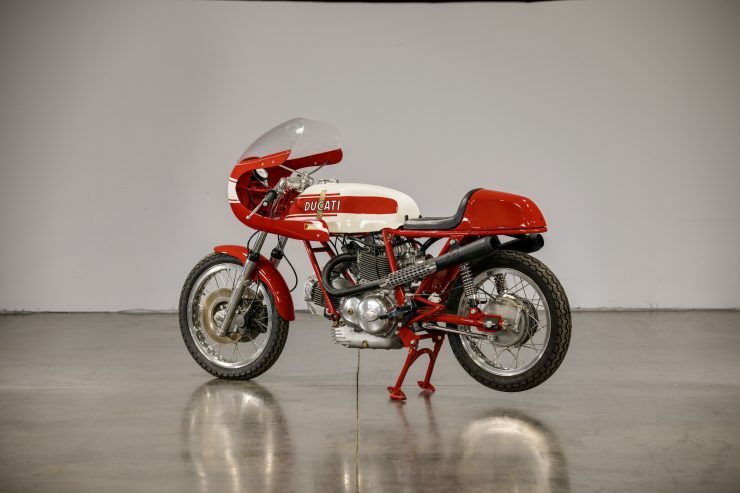 The production version of the 750 Imola Desmo was the Ducati 750 GT, it was fitted with a regular valve train rather than the desmodromic design used on the race bike for the sake of consumer-friendliness. 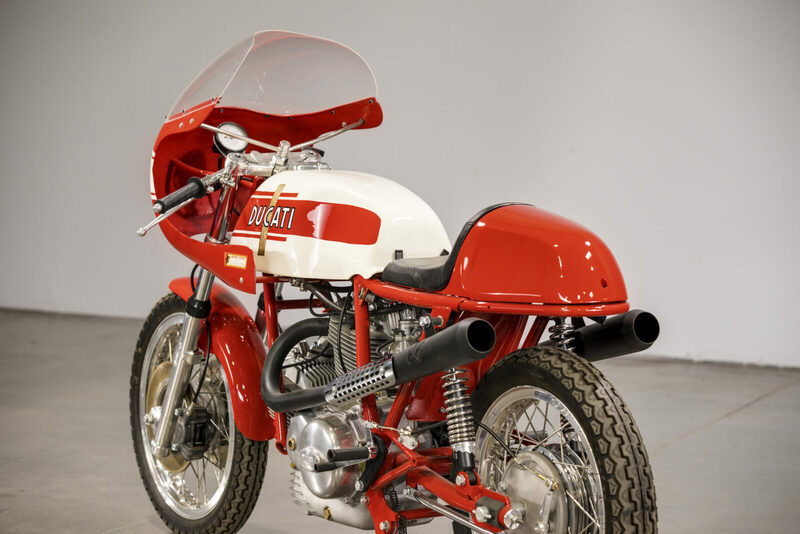 The 750 GT produced 57 hp and proved popular with motorcyclists, helping to slow the Japanese invasion slightly, and establishing Ducati as a world-class builder of road-going superbikes. 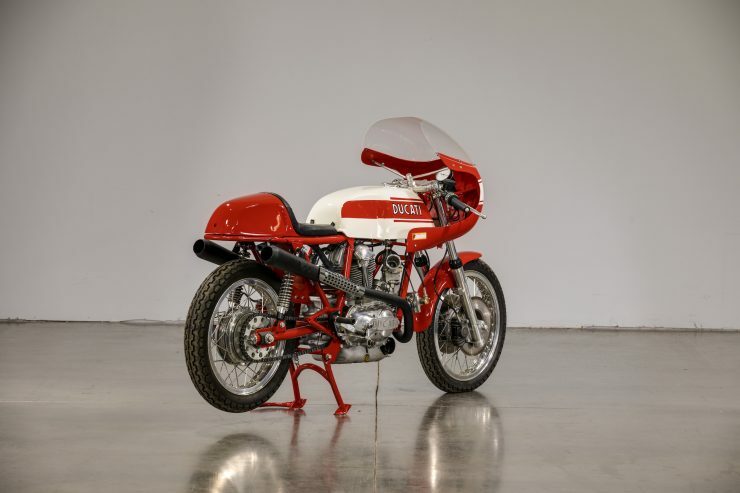 The Ducati 750 Sport was designed to fill the gap between the Imola 200 winning 750 Imola Desmo and the 750 GT. 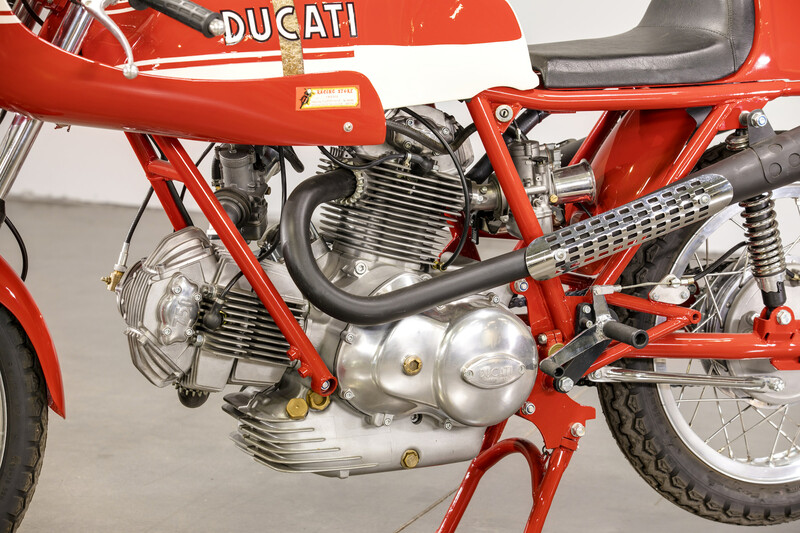 In order to squeeze a little more power out of the L-twin the compression ratio was increased and a pair of larger 32mm Dell’Orto PHF carburetors were fitted with no filters – just a wire mesh over the velocity stacks. 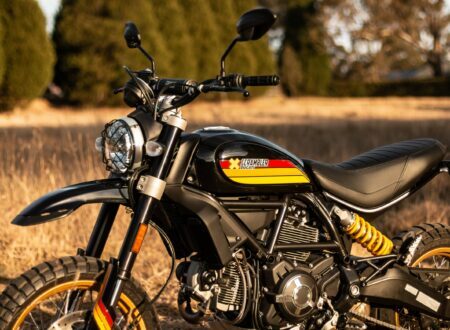 As a hat-tip to its performance intentions the 750 Sport was given clip-on handlebars and rear sets, buyers could also opt for a half fairing and twin front disc brakes. Most examples left the factory wearing bright yellow paint work, and all were fitted with side covers bearing the “750 Sport” branding. 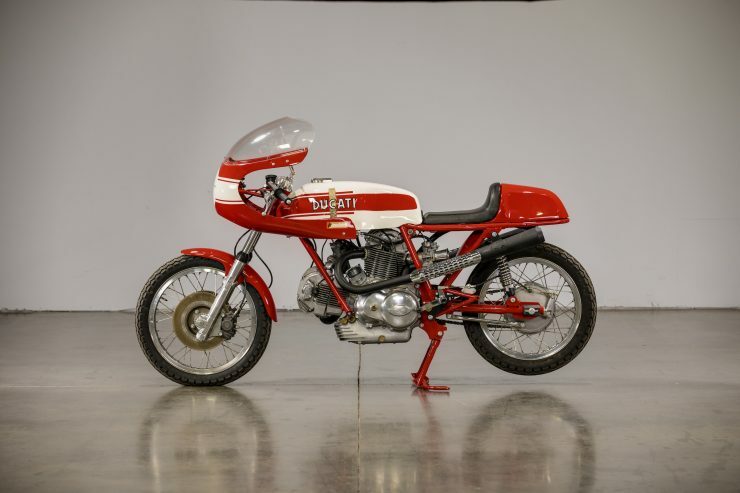 With a total weight of 182 kilograms (401 lbs), 62 hp, and a top speed approaching 130 mph the model proved desirable – though Ducati didn’t build all that many of them as they tried to keep up with demand for the less expensive 750 GT. 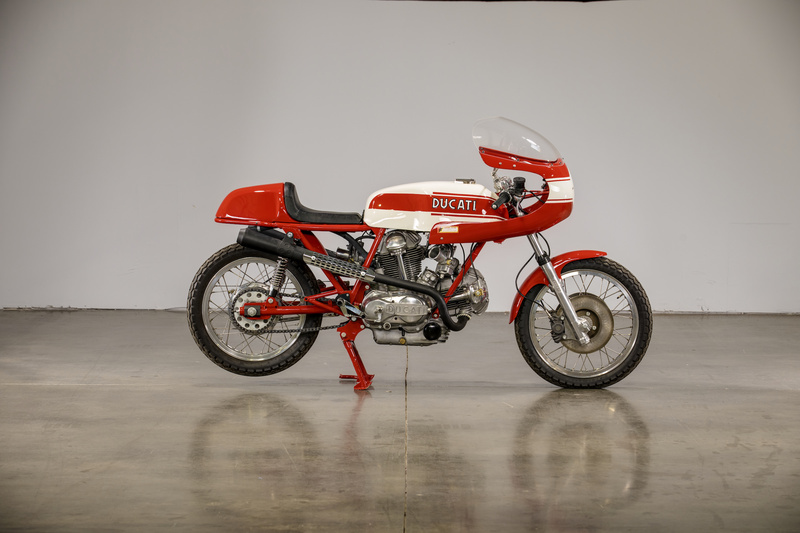 Collectors are now forever hunting for original examples of the Ducati 750 Sport, there are a lot of replicas out there, but when an authentic example comes up for sale it invariably attracts much interest. 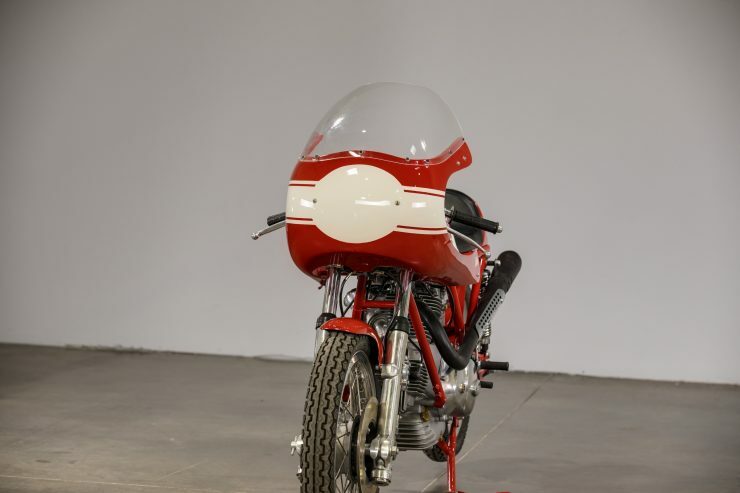 The motorcycle you see here is an original 1972 750 Sport that was raced in the 1970s in Yugoslavia. 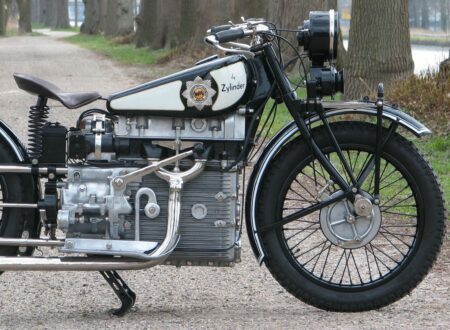 It was discovered in 1990 by Swedish company Oves Motor AB who imported it into Sweden, and then spent 15 years carefully restoring it. 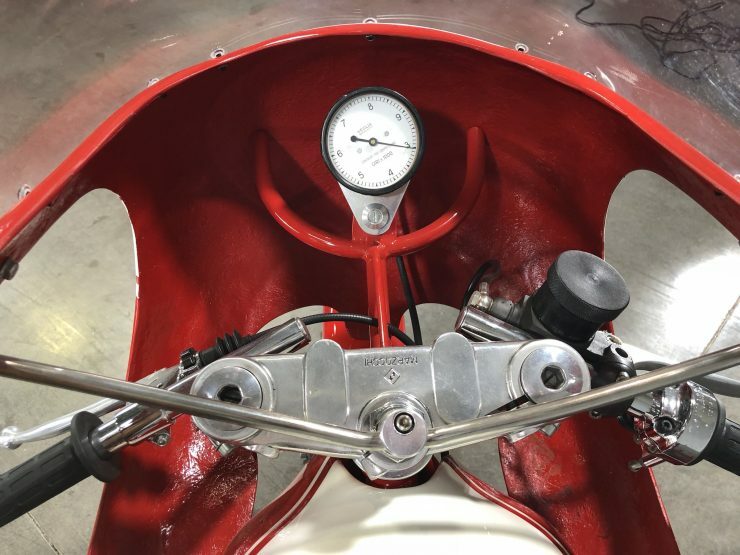 This restoration process was completed by Ove Johansson Swedish Ducati specialist Torbjörn Lindgren, and it included close contact with none other than Dr. Fabio Taglioni. 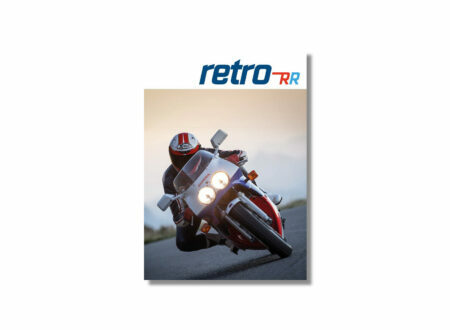 It’s now offered in stunning condition throughout, ready for vintage motorcycle racing competition anywhere in the world. 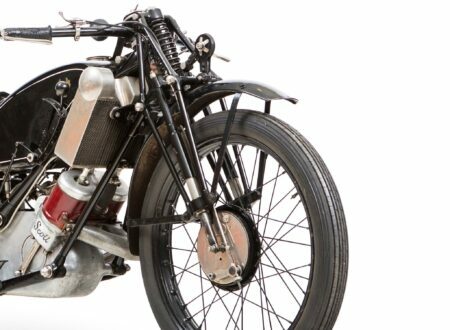 Mecum will be offering it for sale at the Las Vegas Motorcycle Auction in late January and there’s currently no estimate attached to it. If you’d like to read more about it or register to bid you can click here to visit the listing on Mecum.